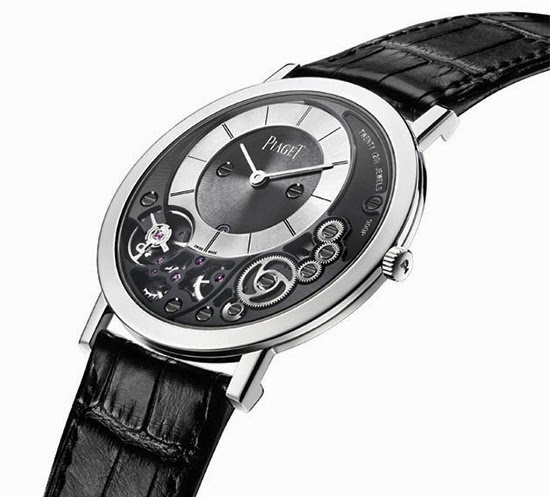 "2014 is a vintage year for Piaget! The Maison is celebrating its 140th anniversary and marks the occasion by launching a model that is set to defy the conventions of ultra-thin Fine Watchmaking for many years to come: the Altiplano 38 mm 900P. 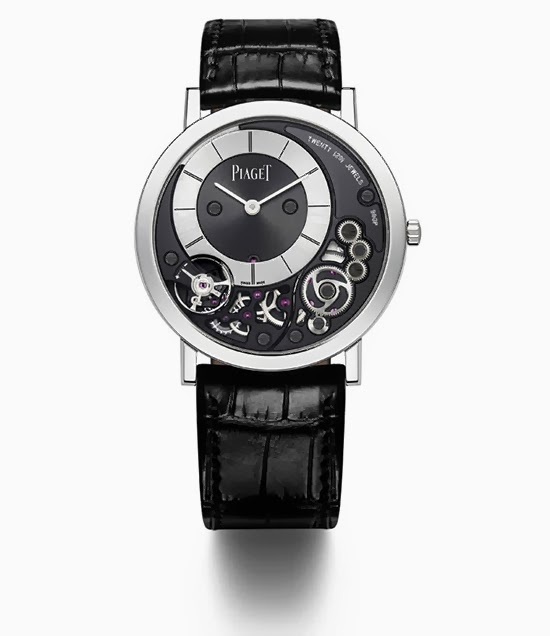 While clearly geared towards cutting-edge innovation, it is also a nod to history, since it gets the 900P part of its name from Caliber 9P, which was the first ultra-thin hand-wound movement made by Piaget in 1957. 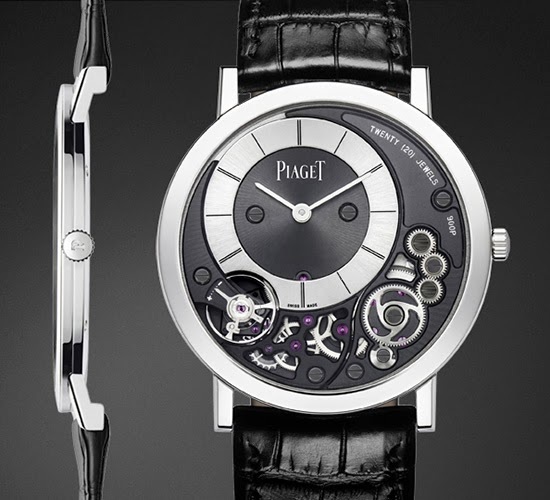 That particular mechanism measured just 2 mm thin and sealed Piaget’s destiny in the field of ultra-thin horology. By 1960, Piaget was ready to set a first record with its Caliber 12P, the world’s thinnest automatic movement at just 2.3 mm. The following years witnessed a spate of new slimness records in the fields of hand-wound and automatic models, with or without horological complications – like Caliber 600P, the world’s thinnest hand-wound shaped tourbillon movement; and 1208P, an automatic movement that is also the thinnest in its category, to mention just a couple of these feats."